So, I was invited to a bottle share. What’s a bottle share you ask? 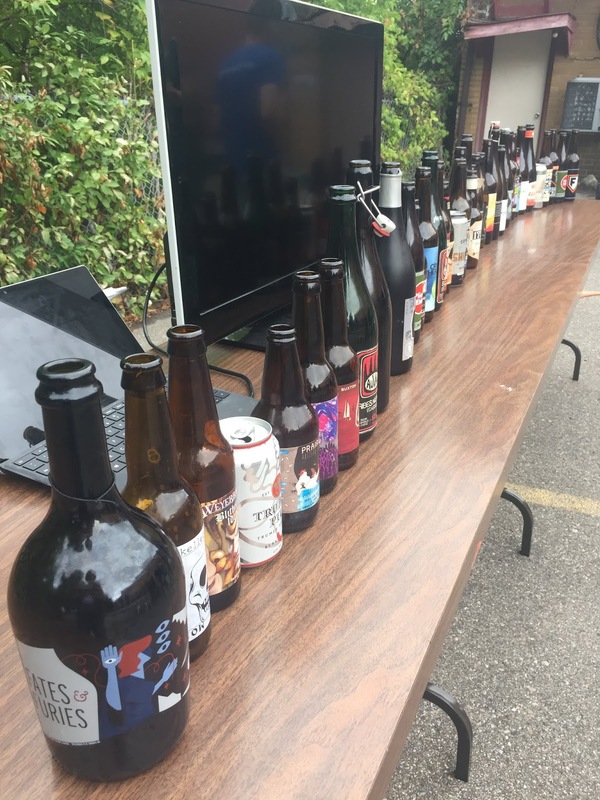 It’s an event where beer people bring a set amount of beer, not available at the liquor store, and it is shared amongst the group. Keep in mind, everyone else at this party was a bottle share veteran. These beer people are experienced, well-traveled and well versed in beer; I was in way over my head. These vets were the super friendly and love good beer, so they understood that they were a newbie at one time too. 1. Glassware. Find out from the organizer if sample glasses will be provided or if attendees need to bring their own. Use reuseable cups, don’t waste! 2. Water. If the event is not being held at venue where water is readily available, bring some. You will need lots to drink and rinse out your cup. You must drink lots of water! Don’t be the sloppy drunk that can’t handle their barley wine. 3. Eat lots of food. Eat before you go AND eat the entire time; I cannot stress this enough . If food will not be provided, bring some, preferably something shareable....I mean it IS a sharing event, after all. 4. Bring uncommon beer. From what I saw, most people brought a one-off or something that was aged in their own cellar. 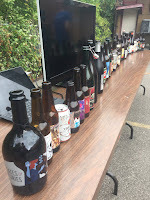 A lot of the beers had really unique flavours, so don’t be afraid to adventure into the weird and obscure; chances are the party hasn’t tried it. Other common brews from the veterans were barrel aged beers and brews from countries outside North America; novelty is key! 5. Bring enough beer. This was a large group, around 30. Most of the attendees brought large bottles or 2 of one kind. Bring enough that everyone can have at least a 1oz pour. Sharing is caring. 6. Have a great time! Beer people are the best! I met some really cool people that had great stories behind the beers they brought to share. When the group is tasting the same beer, listen to how they interpret it. It really helped me to hear their description so I could decipher the flavours of these complex beers. Following these tips will make you look less like a newbie. I did everything wrong except #6. Luckily, #1 through #3 were covered by the fabulous host. What I do know is I definitely brought crappy beer and not enough of it! Live and learn! Drink and be merry!